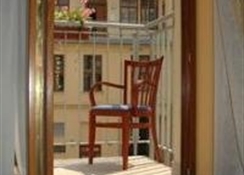 Aparthotel Austria Suites is located in the very centre of the town - Prague 5 - in vicinity of a shopping zone Nový Smíchov. All historic sights are easily accessible on foot or by public transport. Although the hotel is situated on a busy main road, all apartments are quiet, overlooking an atrium of the property. The hotel offers accommodation in 19 spacious apartments in a newly reconstructed Palác Austria. All are stylishly furnished, have a fully equipped kitchen, electric kettle, WC and bathroom, hairdryer, facilities for making tea and coffee, refrigerator, safe-deposit box, telephone, Internet, satellite TV. Micro-wave oven on request. 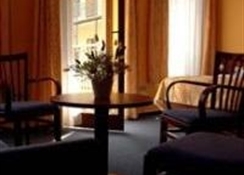 The apartments are suitable for business as well as tourist clientèle. Hotel services: massages center, hairdresser and restaurant. 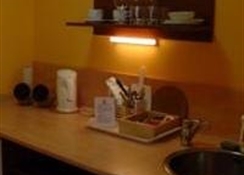 Breakfasts are served in the room of the guests and provided every day (butter, honey, jam, cheese, yogurts, juice, water, muesli, instant coffee, tea, sugar, milk). Matter of course is fresh bakery products every morning, served from 7:30 to 10:30 o'clock. Aparthotel Austria Suites is located in the very centre of the town - Prague 5 - in vicinity of a shopping zone Nový Smíchov. All historic sights are easily accessible on foot or by public transport. Although the hotel is situated on a busy main road, all apartments are quiet, overlooking an atrium of the property. The hotel offers accommodation in 19 spacious apartments in a newly reconstructed Palác Austria. All are stylishly furnished, have a fully equipped kitchen, electric kettle, WC and bathroom, hairdryer, facilities for making tea and coffee, refrigerator, safe-deposit box, telephone, Internet, satellite TV. Micro-wave oven on request. 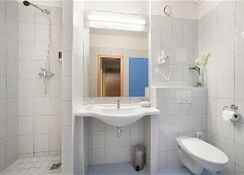 The apartments are suitable for business as well as tourist clientele.